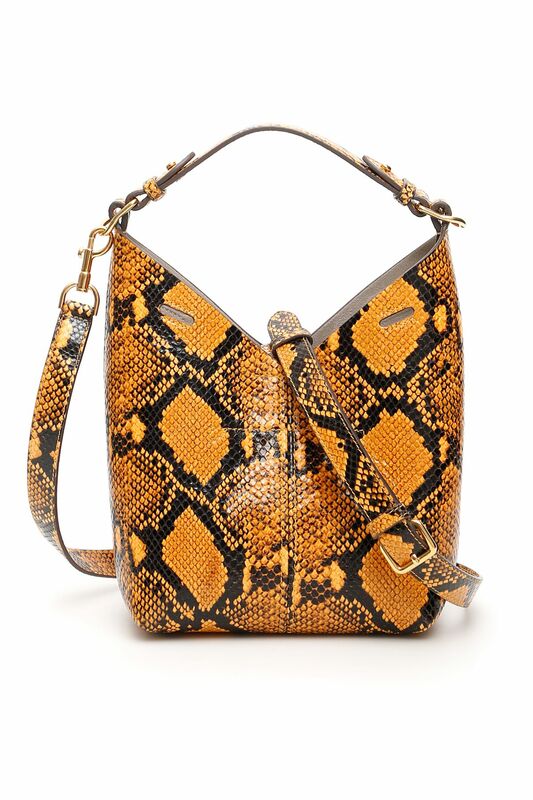 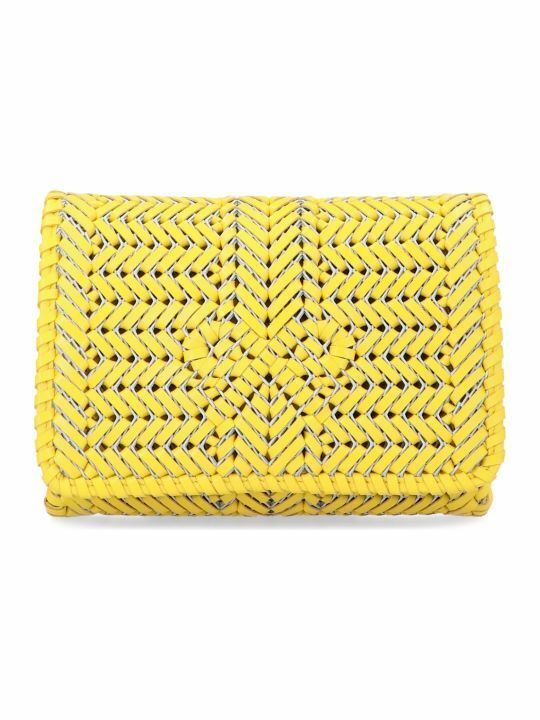 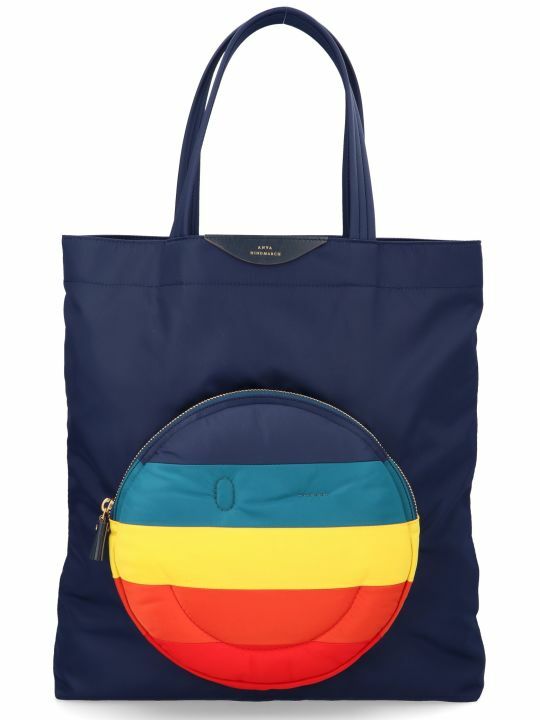 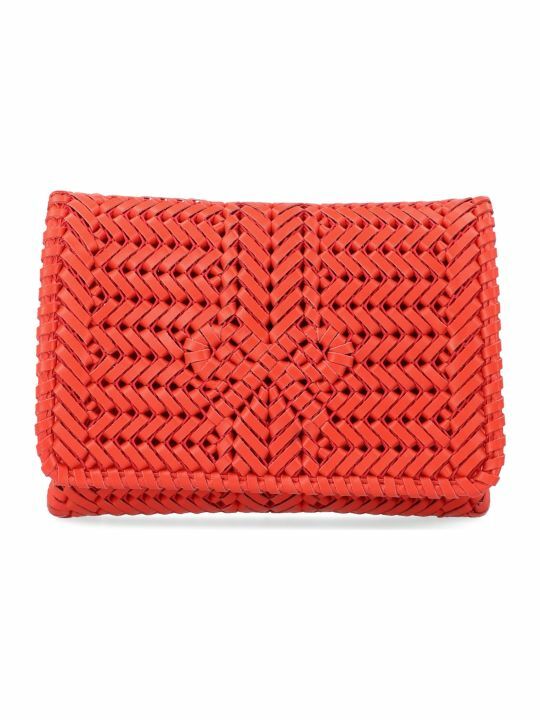 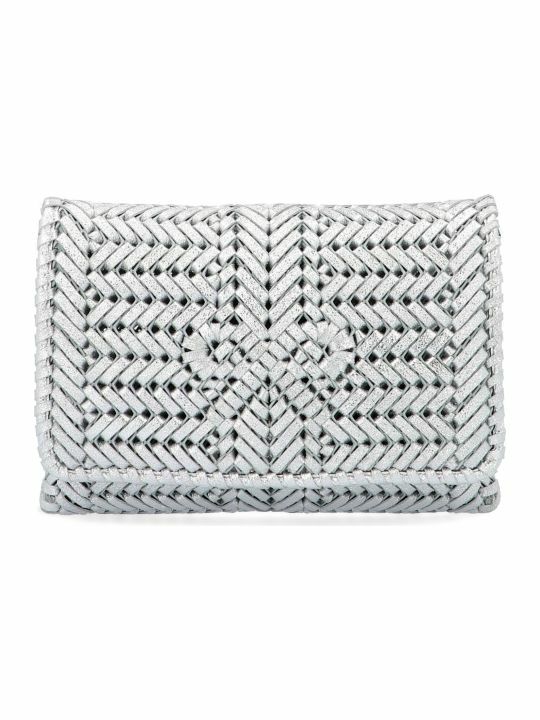 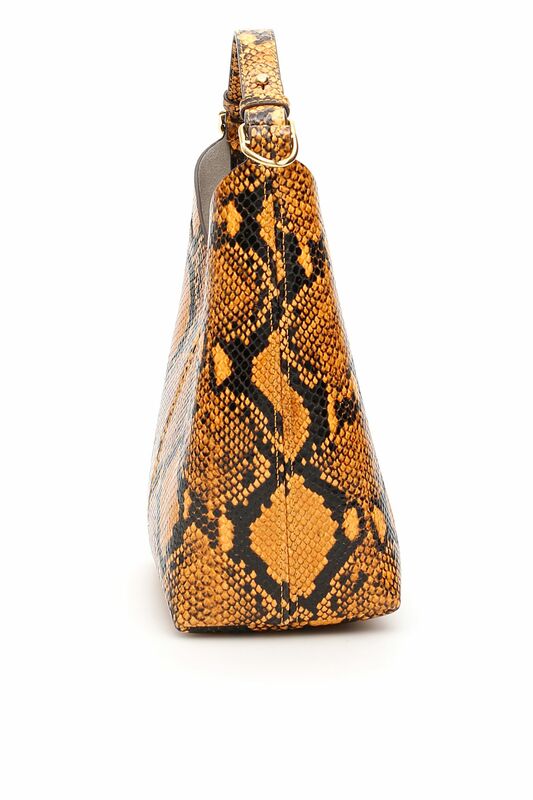 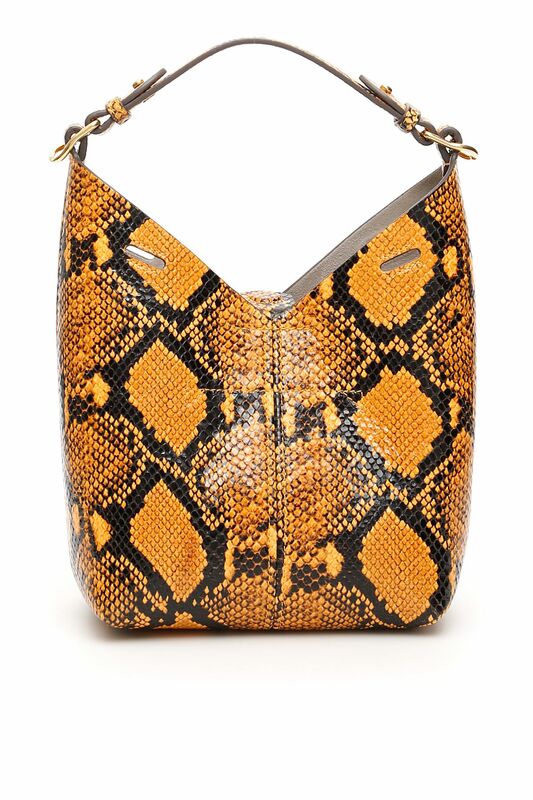 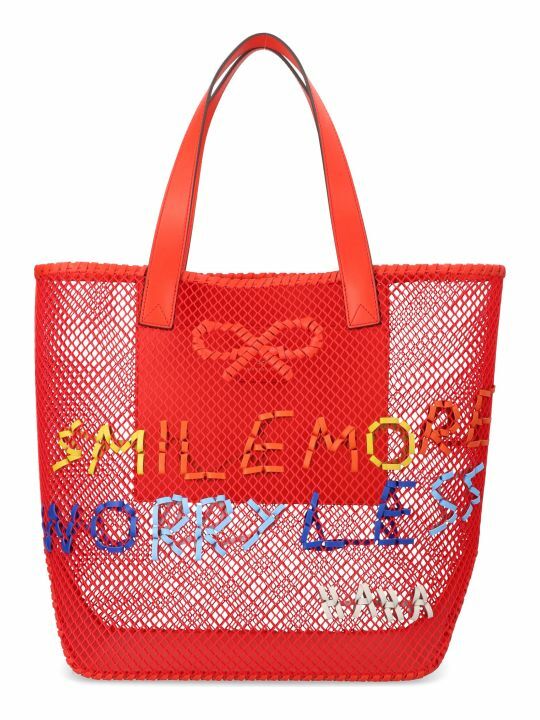 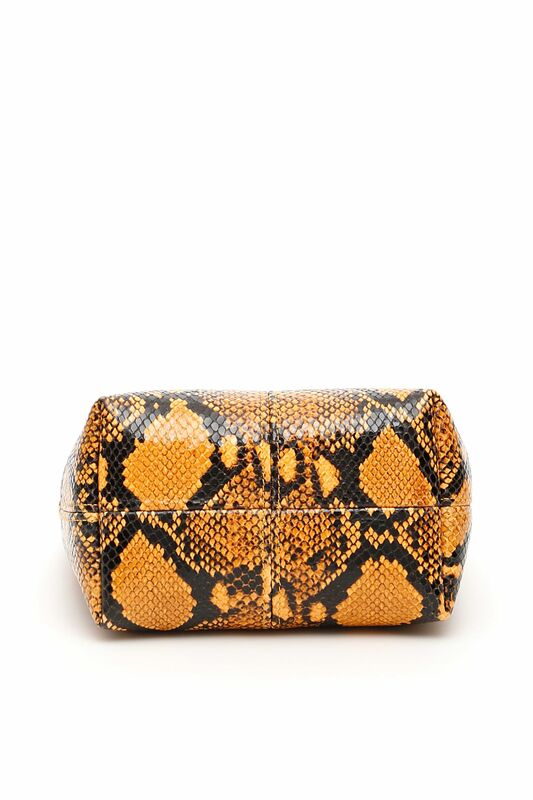 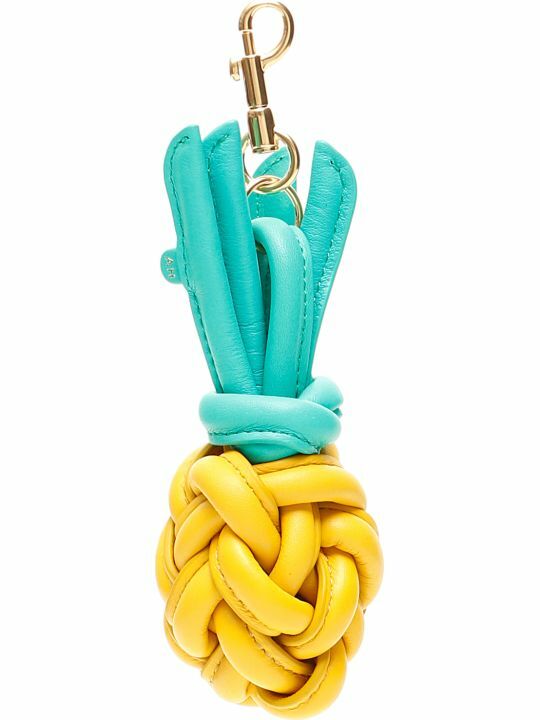 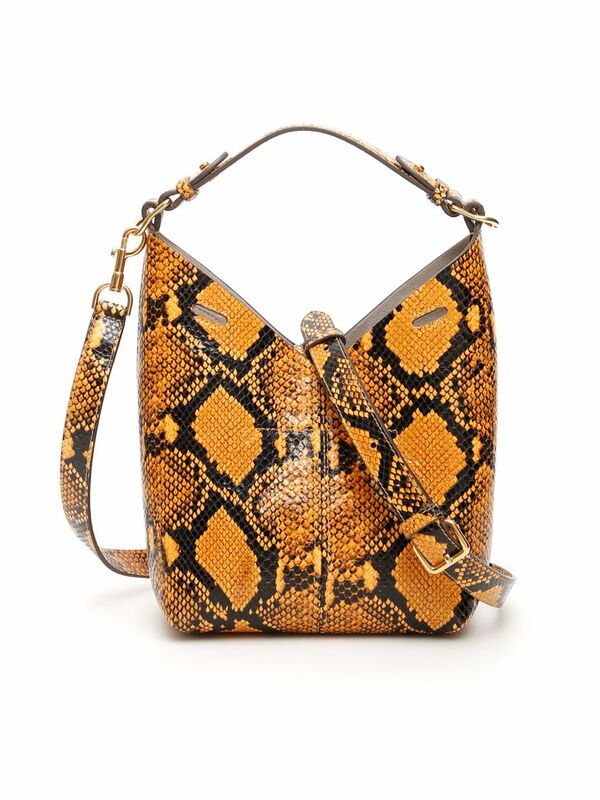 Anya Hindmarch python print leather mini bag with top handle. 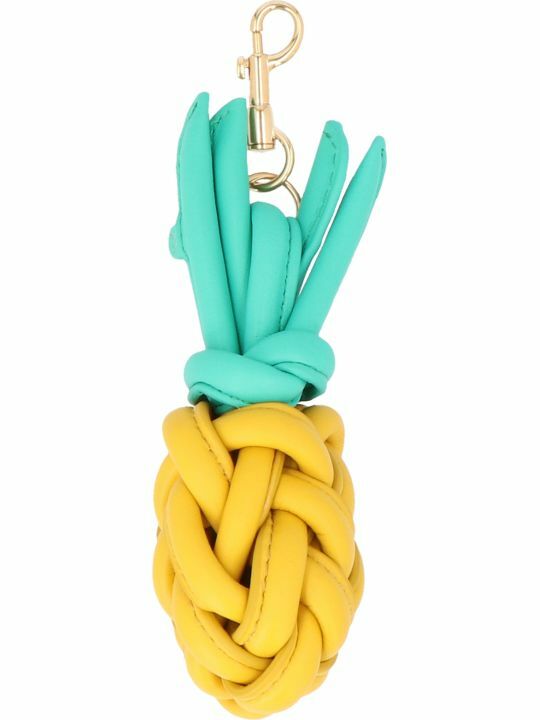 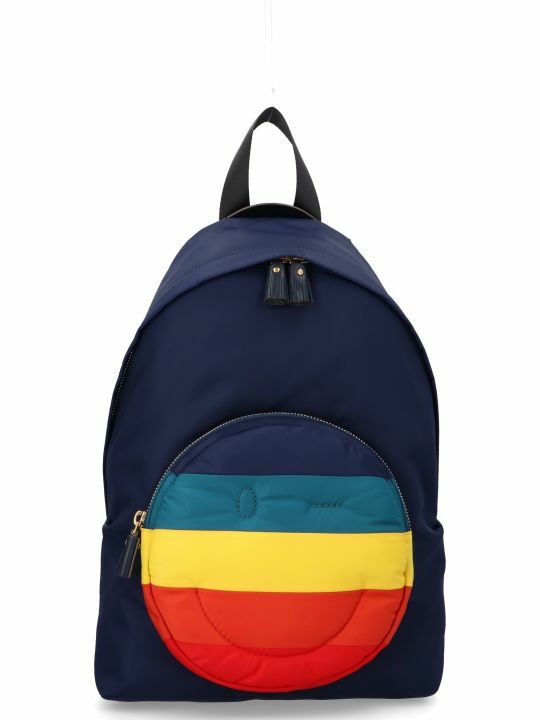 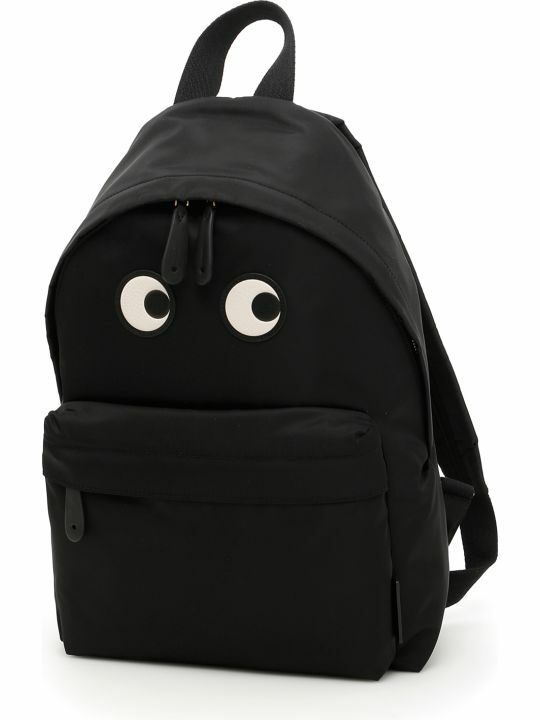 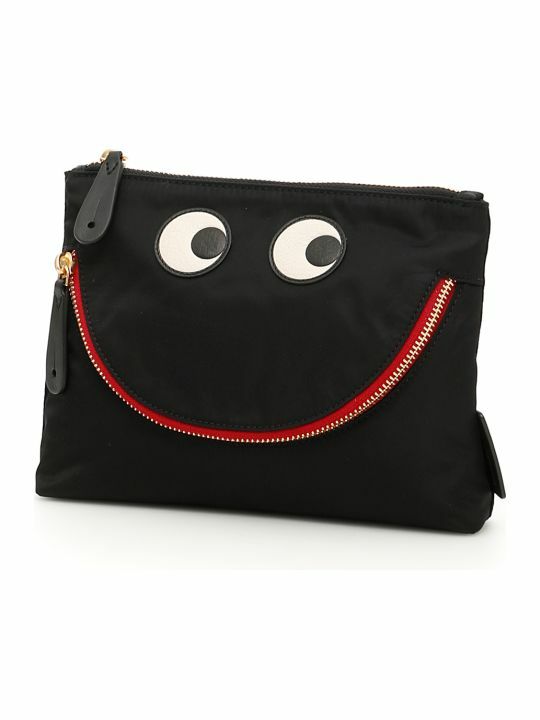 Removable and adjustable strap, magnetic closure, no lining. 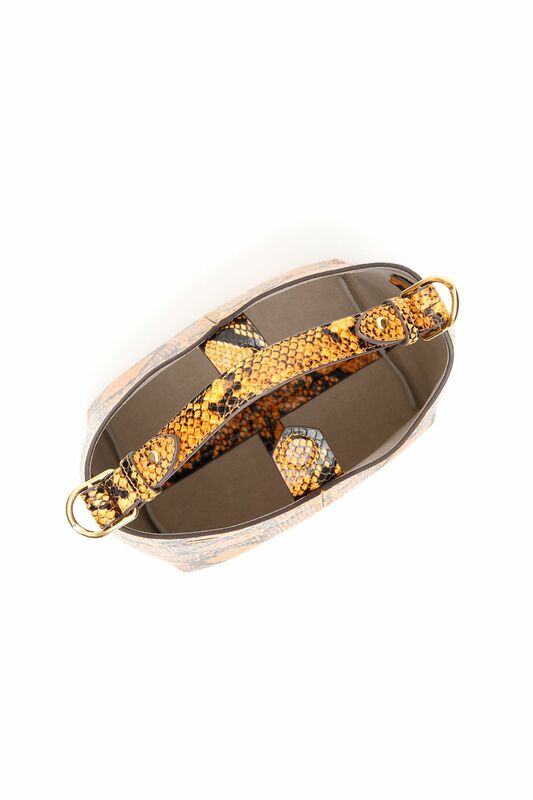 Gold-tone metal bow and hardware.